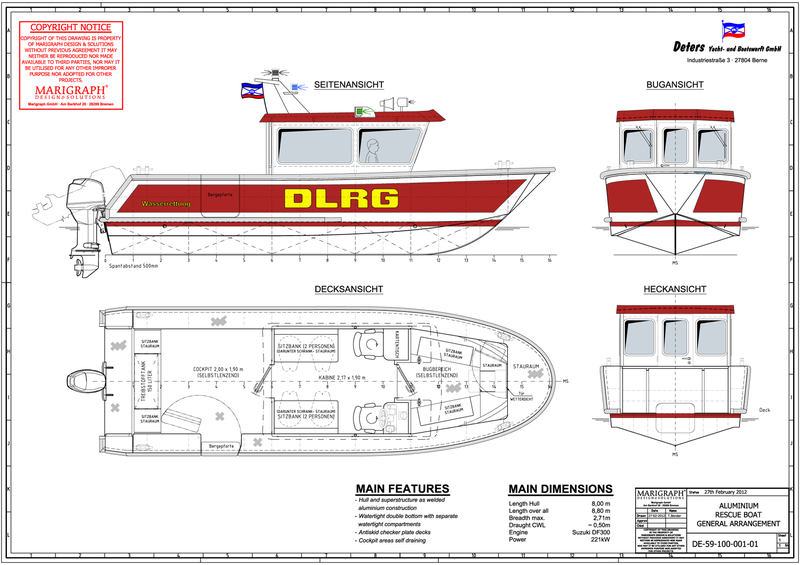 Aluminium cargo boat for service on north-sea island Helgoland. 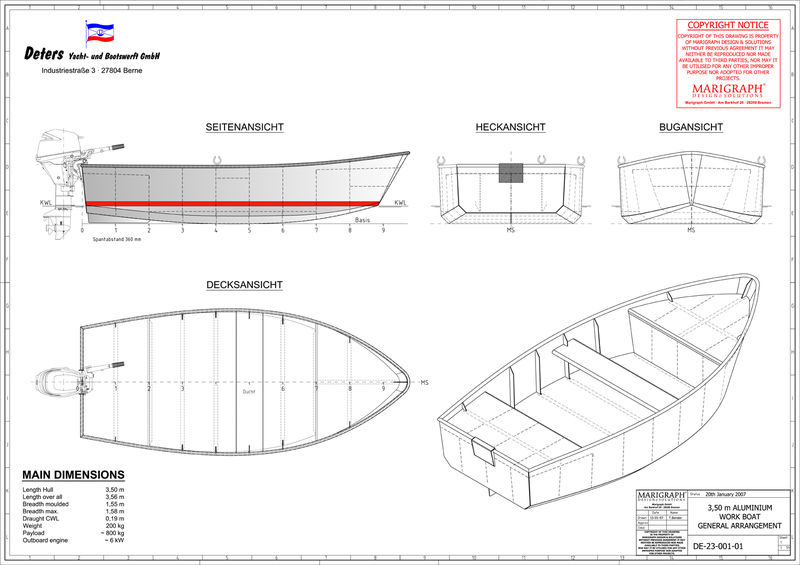 Classification Germanischer Lloyd. 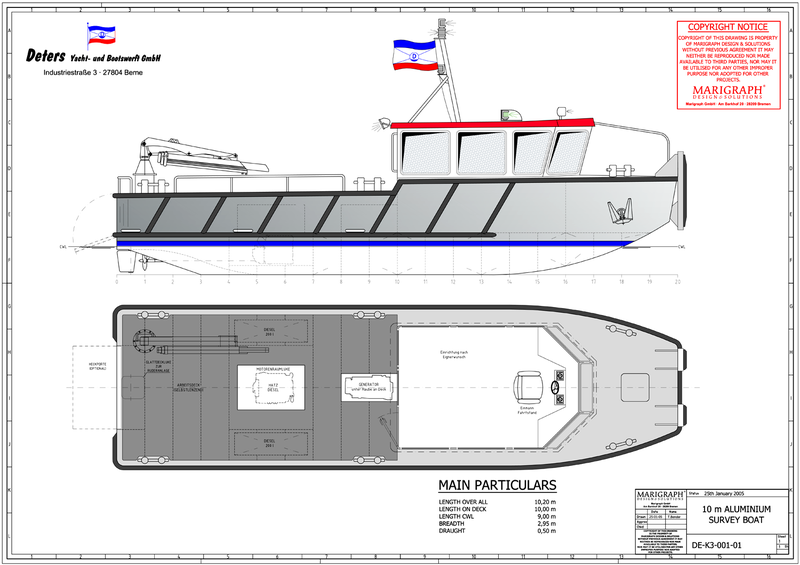 Workboat with ponton-shaped hull for service and maintenance works on inland waters. 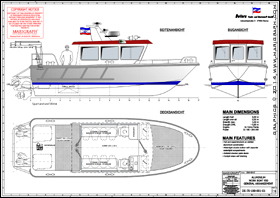 Fast crewboat, maximum speed up to 28 knots. 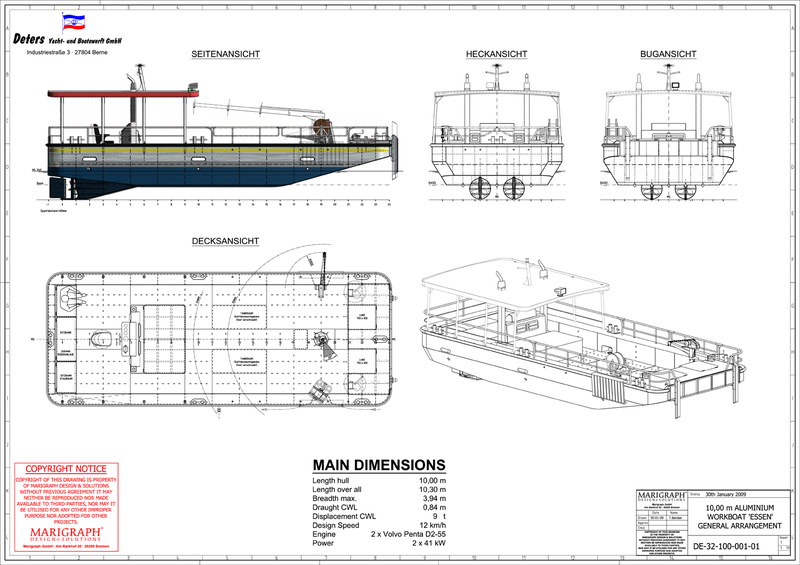 Fast and versatile workboat for personnel and material transport, maximum speed up to 35 knots, excellent course steadiness, payload 18 persons or 2 tons cargo plus crew. 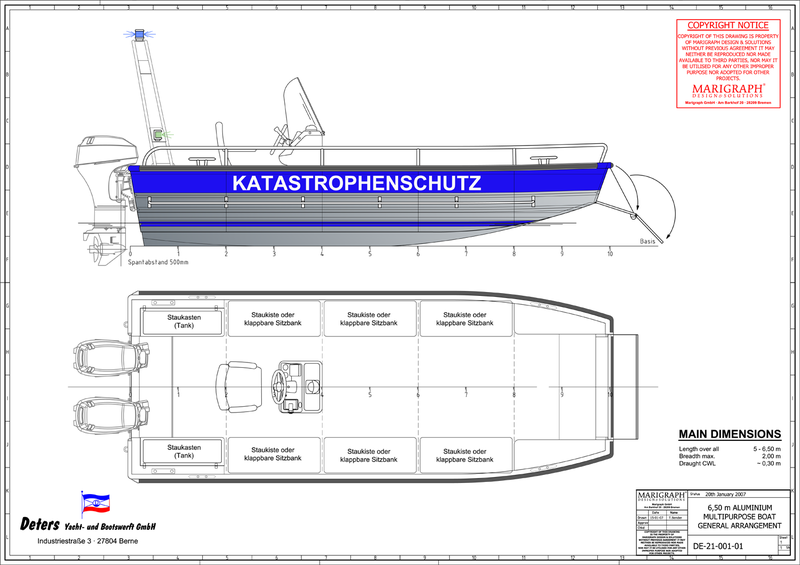 Concept Design of an aluminium speed boat with jet propulsion for Deters Yacht- und Bootswerft. 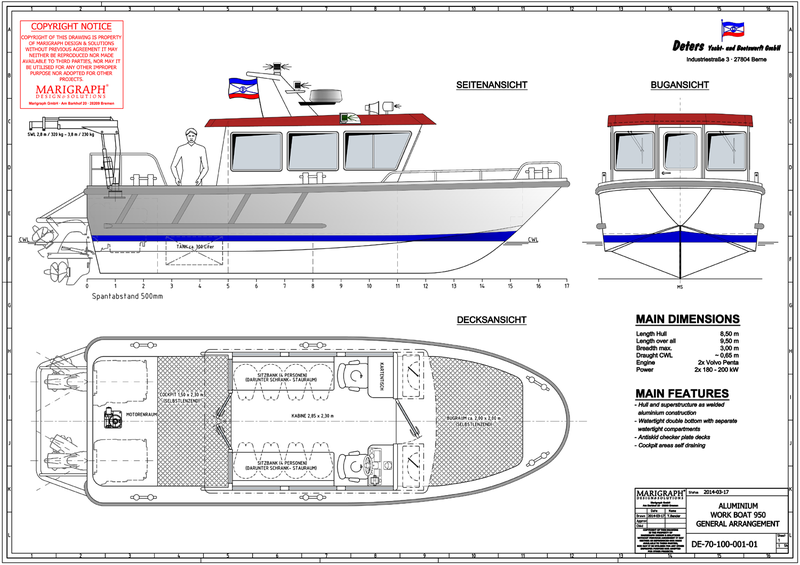 Concept Design of an aluminium rescue boat with jet propulsion for Deters Yacht- und Bootswerft. 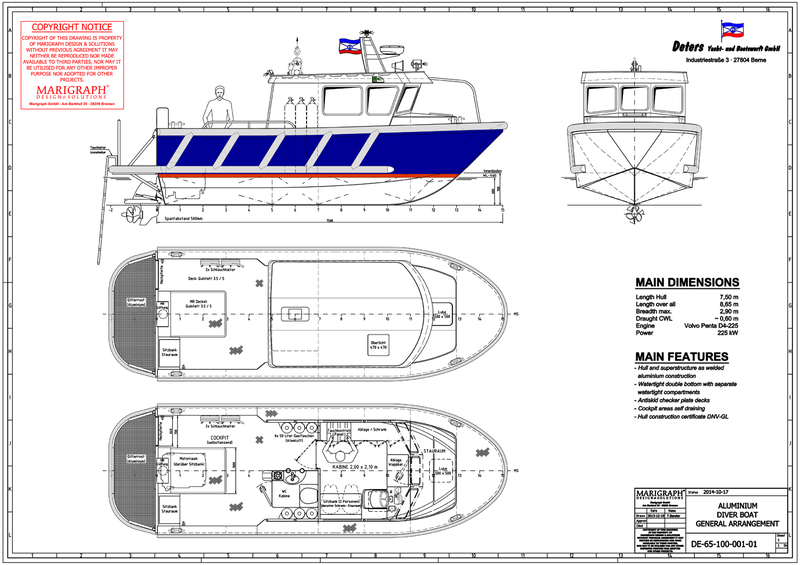 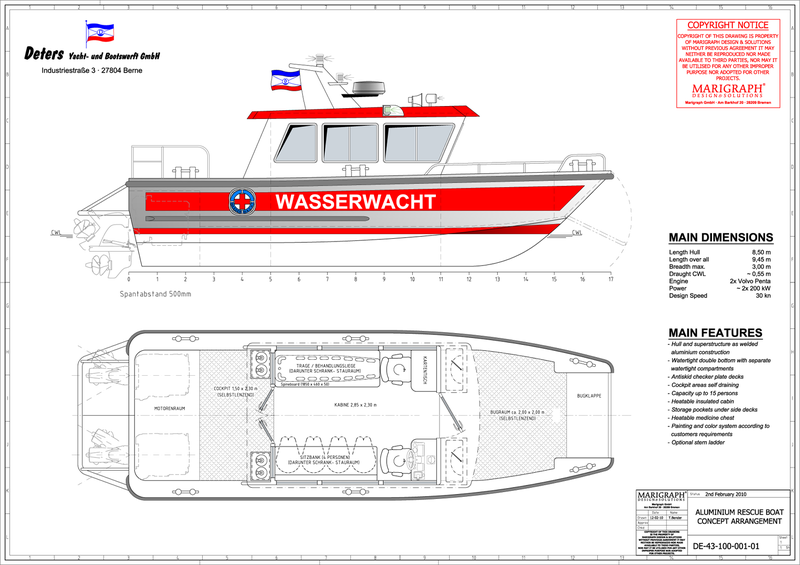 Concept Design of an aluminium rescue boat for Deters Yacht- und Bootswerft. Fast V-Hull rescueboat with cabin. 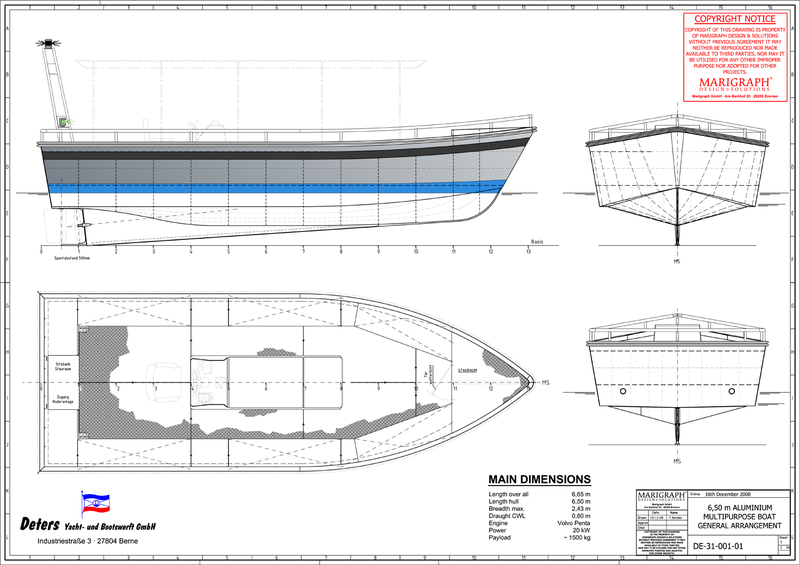 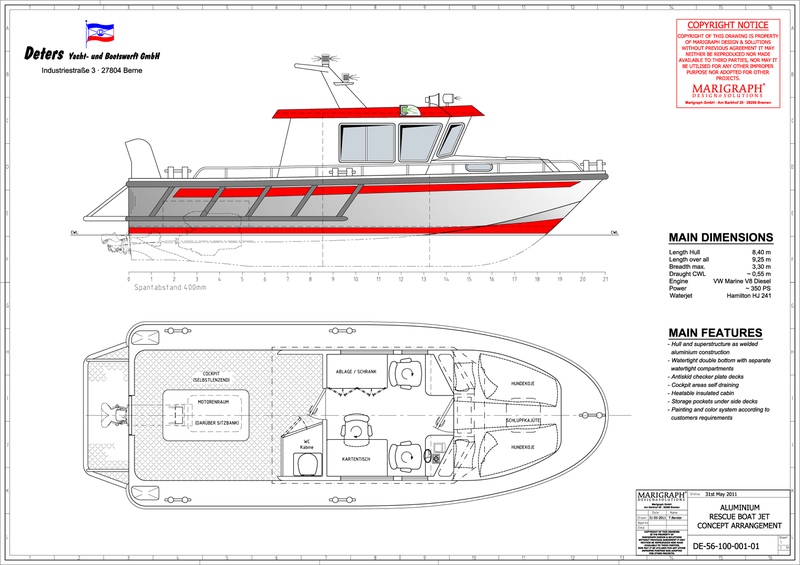 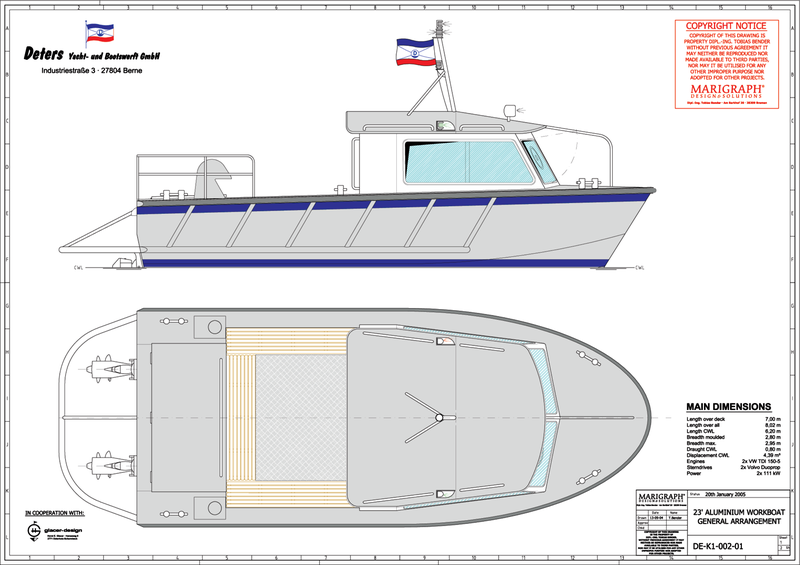 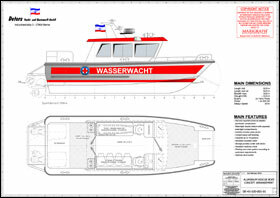 Concept Design of an aluminium work boat for Deters Yacht- und Bootswerft. 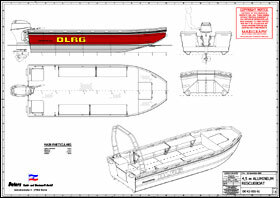 Fast V-Hull rescueboat for rough sea service. 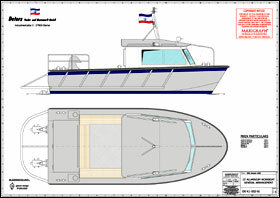 Aluminium diver boat for use as tenderboat in offshore-service. 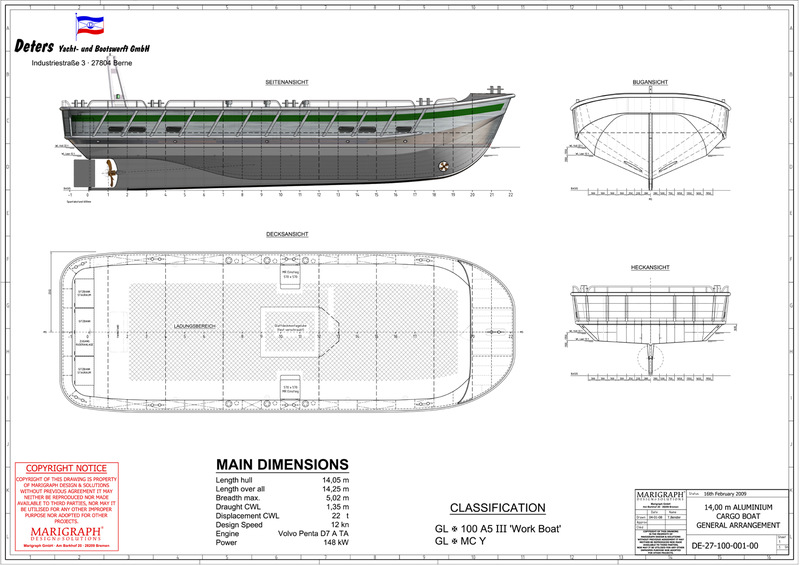 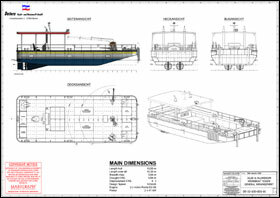 Hull construction certificate DNV-GL. 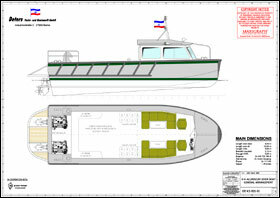 Universal multipurpose boat with bow door. 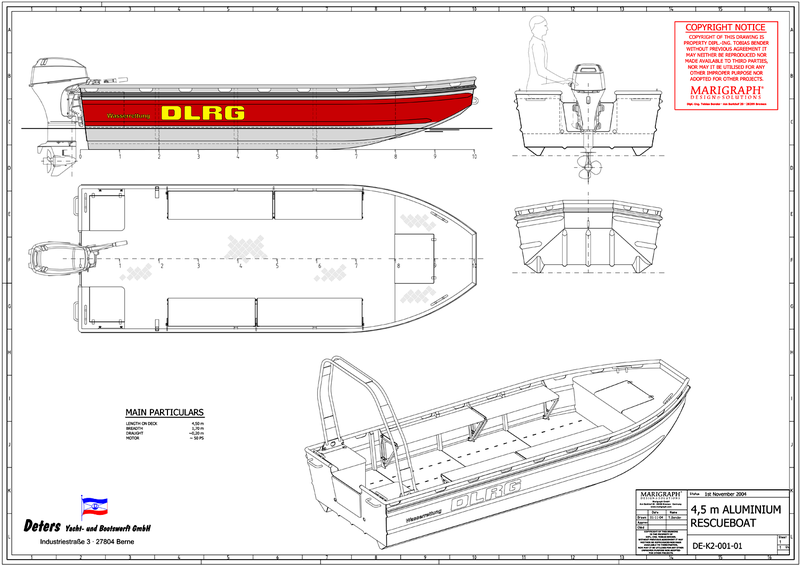 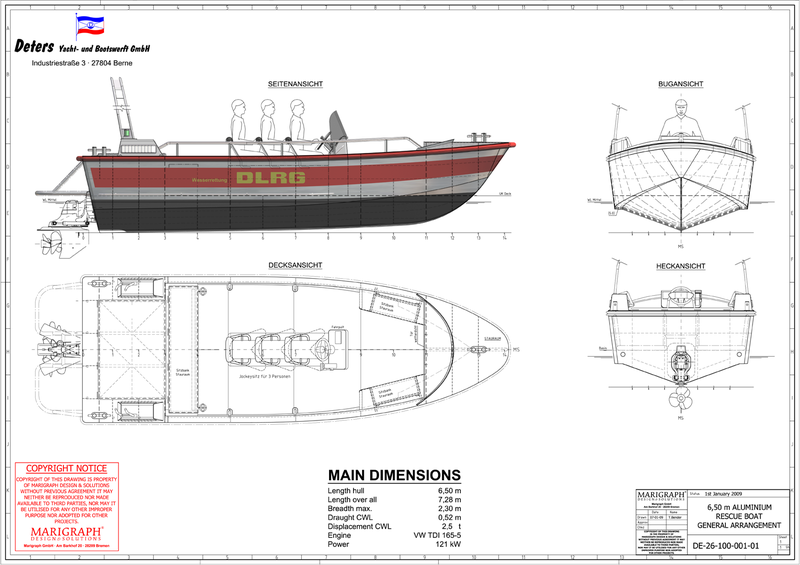 Lightweight and solid aluminium boat for rescue and civil protection services. 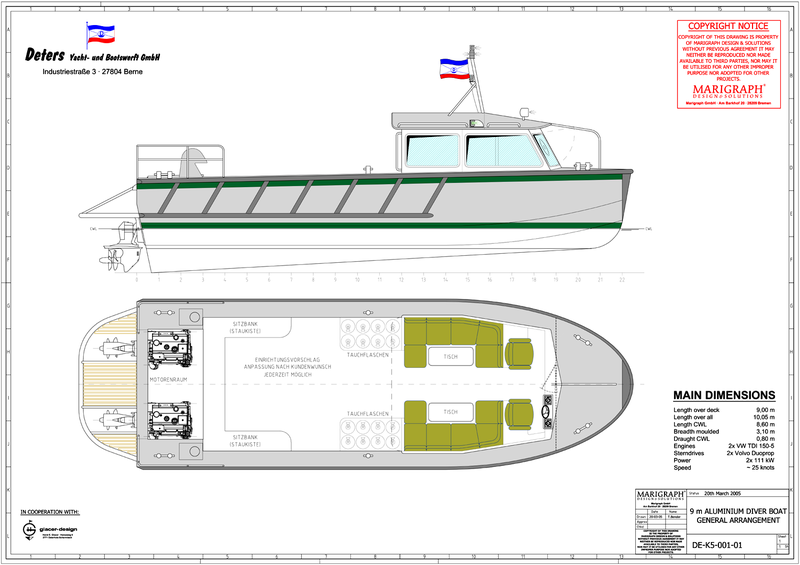 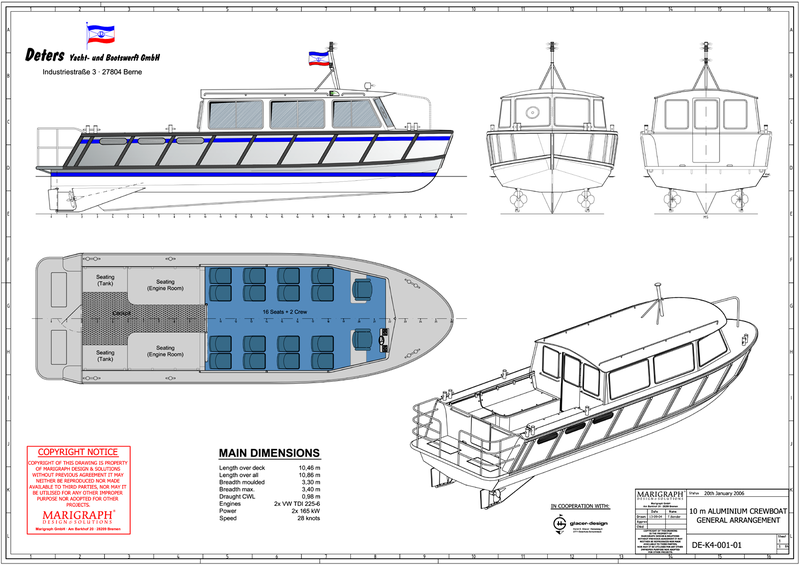 Sound aluminium multipurpose boat for transport of personnel and material. 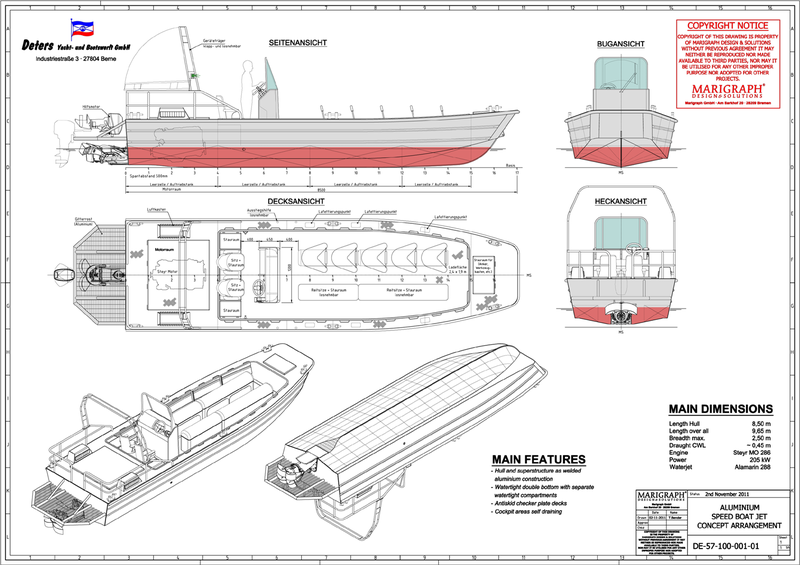 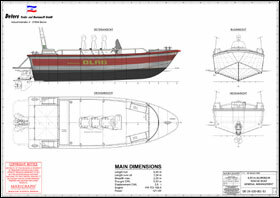 Solid small Workboat for transport of personnel and material. 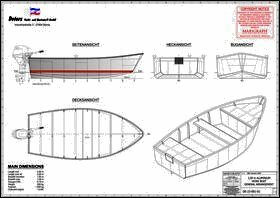 Lightweight and solid aluminium boat for diving works. 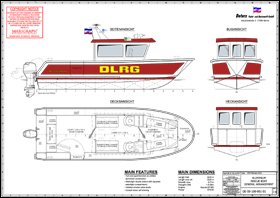 Survey boat for shallow waters and tideland areas.